(Newser) – Blue Bell Ice Cream has suspended operations at an Oklahoma production facility that officials had previously connected to a deadly foodborne illness. "We are taking this step out of an abundance of caution," the company said in a statement. Last month, the company and health officials said a 3-ounce cup of ice cream contaminated with listeriosis was traced to a plant in Broken Arrow, Oklahoma. The now-recalled ice cream product—cups of chocolate, strawberry, and vanilla—is not sold in retail locations and is shipped in bulk to "institutional accounts" such as hospitals in 23 states that comprise less than 5% of the company's sales. So clearly here's yet another case where we need government and ridiculous government regulations to just get out of the way and let all the smart smart people in billion dollar corporations do what they do best--because they know what's best for everyone. 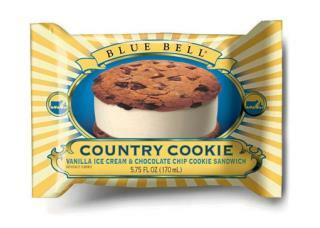 New Slogan: “Blue Bell. Eat all you can and kill the rest."